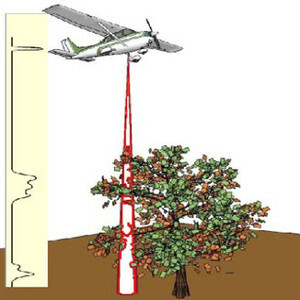 Waveform LiDAR data are frequently used to analyze vegetation vertical structure. The majority of LiDAR products (e.g. height, biomass) are dependent on accurate identification of the ground return. Here, we present a new algorithm for ground detection that is considerably more accurate and computationally efficient.